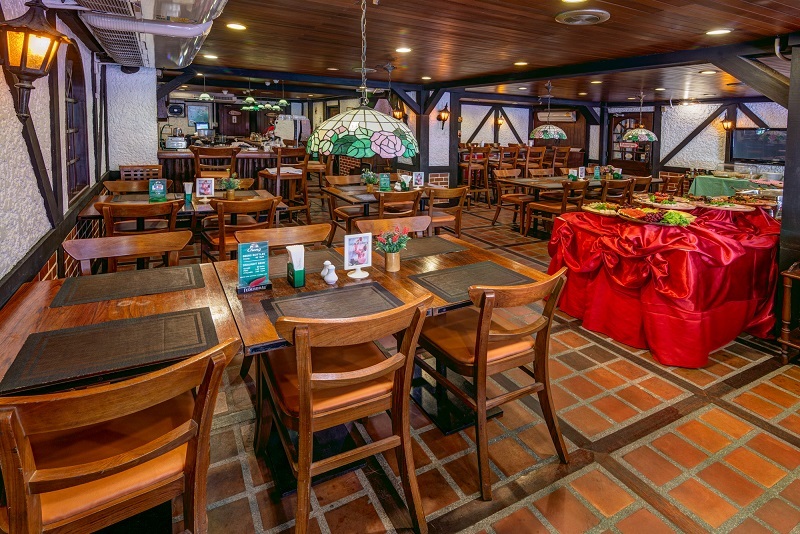 For your dining in Bangkok, visit Stable Lodge Hotel Bangkok and be spoilt for choices. From the hot and spicy thrills of traditional Northeastern Thai cuisine to the familiarity of International, Scandinavian and European dishes, the restaurant at Stable Lodge on Sukhumvit offers mouth-watering specialities for all tastes. However, there is nothing to match the special taste of real Herring imported directly from Denmark, or a classical Danish open sandwich from the 85 choices we offer! 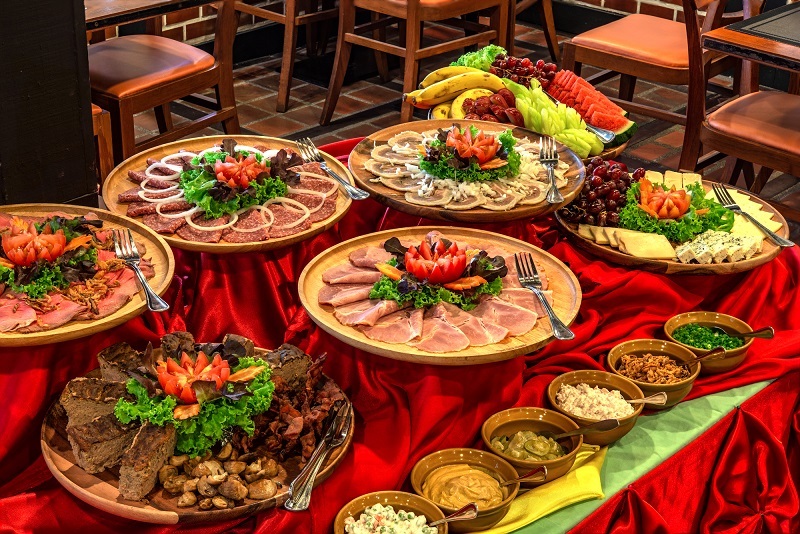 Or enjoy the decidedly different kind of culinary experience of inimitable Viking food in cosy surroundings, over a glass or two of fine wine, beer, or Aquavit, and eat the hearty fare that gave the Norse raiders the strength and vitality to conquer Europe so long ago! Swedish Biff a la Rydberg is another speciality and from Norway why not try our Fiskboller med asparges og blomkal, and our imported New Zealand beef steaks cannot be equalled for flavour and deliciousness! 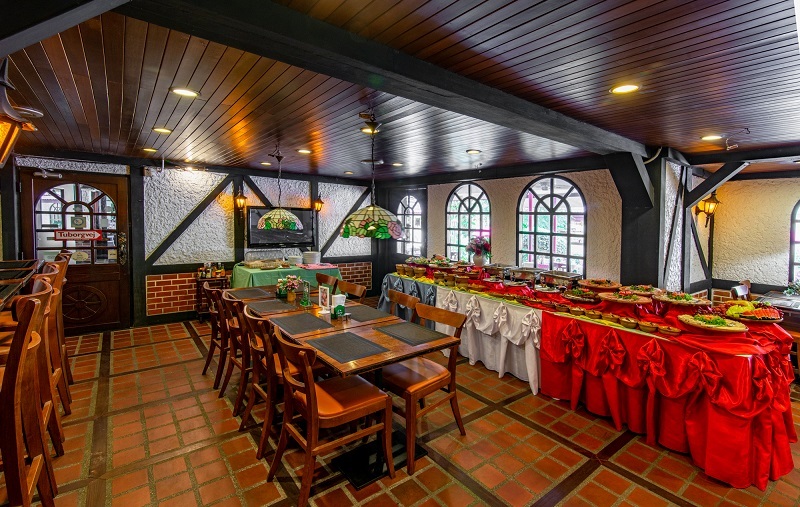 Traditional style combined with space and comfort makes the Stable Lodge’s restaurants in Bangkok a great choice for eating experience from 7am until midnight every day of the year. Weekly barbecues and Scandinavian Smorgaas buffet at the weekends ensure every taste and style is offered in our unique Bangkok setting offering great food and first class service. Dinner on our extensive terrace, or in the garden restaurant, or if you prefer in the air-conditioned dining room, is a relaxing interlude after the day’s activities and enhanced by a feeling of wellbeing created in such a beautiful natural setting. Dine in the velvety warmth of a gentle Siamese evening and enjoy a wide range of delicacies from our chef’s unique creations and imagination. The weekend food experience at Stable Lodge is very special with a mouthwatering selection of Scandinavian delicacies in our all-you-can-eat Smorgaas buffet on Sat & Sun from midday until 3pm. We may not be the biggest but we are beautifully put together!